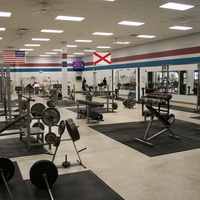 The Wallace State Wellness Center is located next to the Tom Drake Coliseum and has a fully equipped weight room, several practice gyms, an aerobics room, and racquet ball courts. The Yoga class was fun, good for my body and I enjoyed. My schedule was off on my computer therefore I went a day early and joined exercise and robotics also.